I really loved creating using this photo as inspiration and I hope you do too! Our DT have all made such stunning cards-check them out here. Then take some Time Out and craft with us! Uniko-Challenge-something old (sentiment), something new (dies) and I went with the twist of love. This is a beautiful card! So elegant and the gold trim is wonderful! Glad you joined us at FMS! Love that you only filled in the smaller hearts! Thanks for sharing with us at CASology this week! 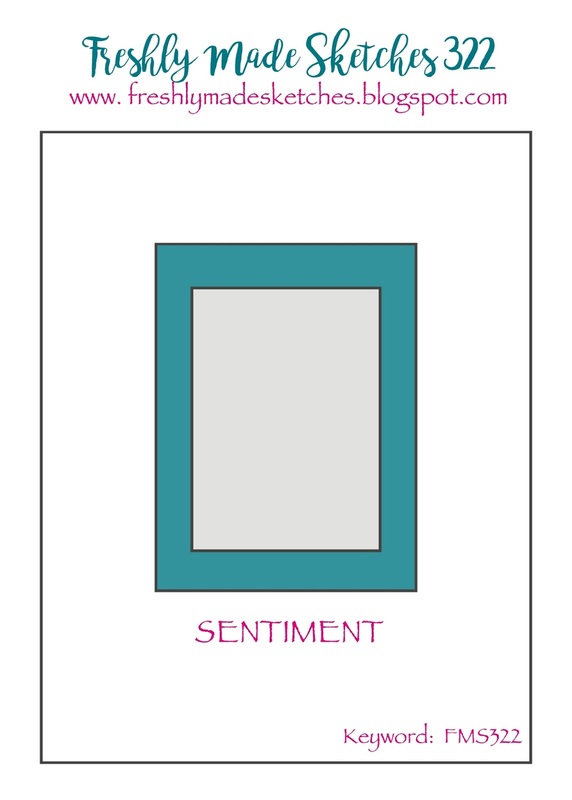 Love this elegant and sophisticated card. You used some really cool dies and totally nailed the inspiration photo. Thanks so much for playing along at CASology this week. What a sweet card! 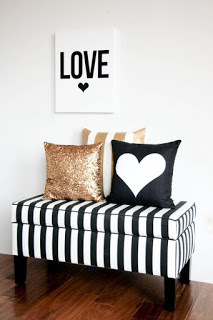 Love the elegance of the black, white and gold together! Those hearts are so cute! Thanks for joining us this week at Freshly Made Sketches! Wow! The foam adds so much fabulous and dimension Sandie. So classy and all around gorgeous. This is just awesome Sandie. I love those heart dies on the black bracket die. The hearts look enameled and sparkly at the same time. Great idea to use the fun foam. Gorgeous simplicity. Hi Sandie, Love the classy CAS design. The colors go so well together. Thank you for playing along with us at CASology this week. This is gorgeous - it looks really intricate. Such a sweet card. Love the entwined hearts - great choice for the challenge cue. Thanks for joining us at CASology! Chic, classy and CAS. So happy you could join in the fun at CASology this week. What a beautiful CAS and delicate card ! 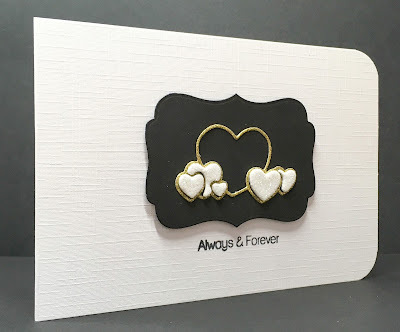 Love the card base texture and those golden delicate hearts are so beautiful over the black background. Very elegant ! Thanks so much for sharing and for playing along at Uniko. Lots of dimension yet ultra CAs and stylish, a romantic design fit for a newly wed or anniversary celebrating couple.